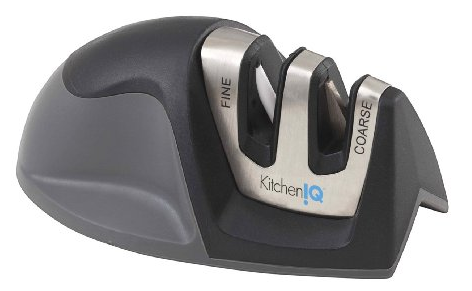 KitchenIQ 2 Stage Knife Sharpener Only $5.99 + FREE Prime Shipping! You are here: Home / Great Deals / Amazon Deals / KitchenIQ 2 Stage Knife Sharpener Only $5.99 + FREE Prime Shipping! When it comes to staying safe in the kitchen a good sharp knife is key! Get this KitchenIQ 2 Stage Knife Sharpener for Only $5.99!! This is such a great deal for this as it has a 2 stage setup that allows for honing and sharpening.